Hosted by Best of the Best N.
First-time guests are invited to attend complimentary by contacting David Chirico to confirm attendance at (561)[masked]/mobile or mailto:[masked]. Unconfirmed guests will not be admitted. Each week 15-25 members attend this group. Members are not required to register each week. Only one person from each professional classification is permitted to join. 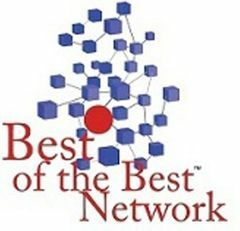 Please visit our website: http://www.bestofthebestnetwork.com for Policies & Procedures and to view Members in this group.